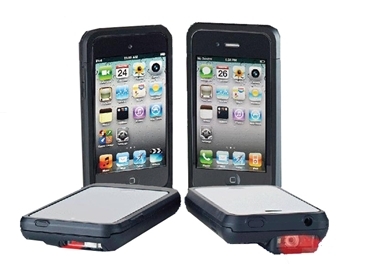 The Linea-Pro 4 iPhone 1D and 2D scanners available from POSBay Pty Ltd are designed to enable workers to convert the iPhone or iPod devices into powerful barcode scanners. The Linea-Pro 4 series is designed for 4th Generation iPhone and iPod devices. Linea-Pro 4 1D and 2D scanners enable mobile workers to convert iPhone and iPod touch handsets into powerful point-of-sale solutions. The iPod and iPhone are not included with the solution. The Linea-Pro is the hardware solution for adding barcode scanning and mag-stripe reading to iPhone/iPod touch devices. Special software must be used to process the information captured by the barcode scanner and magnetic stripe reading feature. Linea-Pro does not come with any included software; a Linea-Pro SDK is however available on request. The Linea-Pro features an operating temperature range of 0ºC to +40ºC.